When you’re ready to buy or sell your next home, you need a team of results-driven REALTOR® with the knowledge, experience, and connections to get the job done fast! From left to right are Maegan Diebler, Jason Brockwell, Chuck Jenkins, Cheri Shehane, Brandon Jenkins, Emily Baker, and Eric Portwood. Seated are Rainy Snyder, Kimberly Mays, and Drew Townsend. 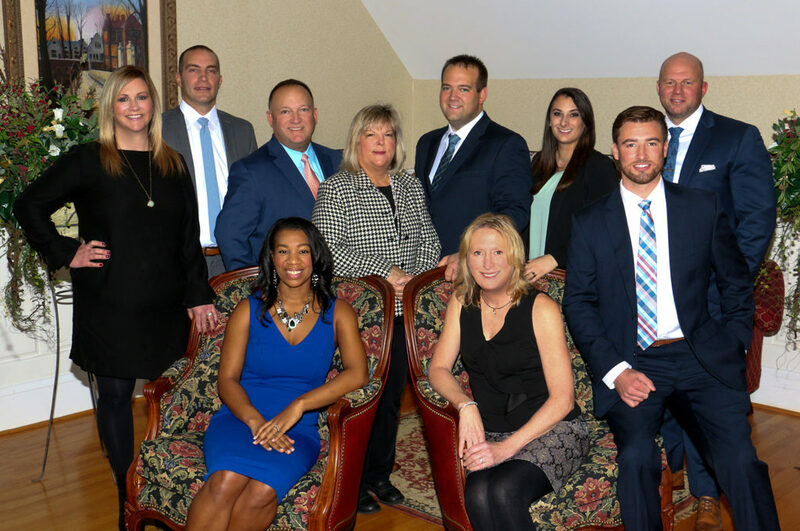 In 2019, Chuck and his son Brandon formed the Jenkins Real Estate Group, which consists of 9 licensed Realtors®, an administrative assistant, and several support staff. Together, this group of dedicated professionals will ensure that your home buying and/or selling experience is the absolute best it can be. Hiring a team of REALTORs® to help you sell your property will provide you with tremendous advantages over a single agent. Here are just a few of the benefits of working with a team. Every week, we meet as a group to discuss each of our client’s listings and its status. Most of the time, things move along exactly as we planned. But, occasionally, one of our listings will need a little help. That’s when we really shine. Rather than rest on our laurels, we’ll use our experience to brainstorm various sales and marketing strategies we can use to stimulate additional interest in your property. This is one of the things that separates us from our competitors. It’s also why we have so many repeat customers. Contact us today and put our team to work for you. And yes, extra effort is included. My wife and I had a fantastic home buying experience with Jenkins Real Estate Group. Our Realtor® took the time to carefully listen to our needs and helped us find a beautiful home that fit our family perfectly. Thanks to his help, selling our home was even easier. Not only did they sell our home quickly, but they also sold it for the exact price they estimated.